The King Faisal Center for Research and Islamic Studies participated in the Abu Dhabi First Manuscripts Conference and Exhibition, organized by the Department of Culture and Tourism in Abu Dhabi under the theme "Arabic Manuscripts: Reality and Issues" for two days, 16 and 17 January. 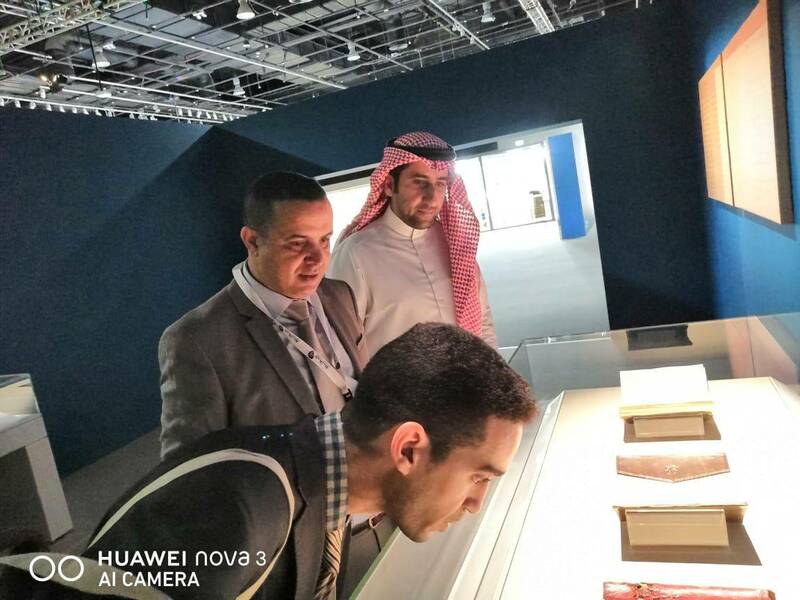 Turki Al-Shuaier, Assistant Secretary-General of the King Faisal Center for Research and Islamic Studies, said that the Center participated in the first Abu Dhabi manuscripts exhibition and exhibition with a large collection of rare manuscripts. The Center has one of the largest collections of rare and unique original Arabic and Islamic manuscripts. The Center sought to document aspects of cooperation and bilateral relations with various centers and research bodies locally, regionally and internationally in the field of issuing, publishing and preserving manuscripts, adding that the number of original manuscripts in the Center is more than 28,000 titles, with more than 17,000 volumes being in manuscript form, and the number of manuscripts involved in the Abu Dhabi First Manuscripts Conference and Exhibition is 25 rare original manuscripts. Al-Shuaier expressed his appreciation to the Department of Culture and Tourism in Abu Dhabi for organizing this important cultural event, which is the first conference and exhibition specialized in manuscripts. It is expected that it will contribute to enhancing the cultural ties between Arab and Islamic manuscripts centers around the world.